Use the buttons at the bottom of the page to view a slide show of Garfield High's early years. 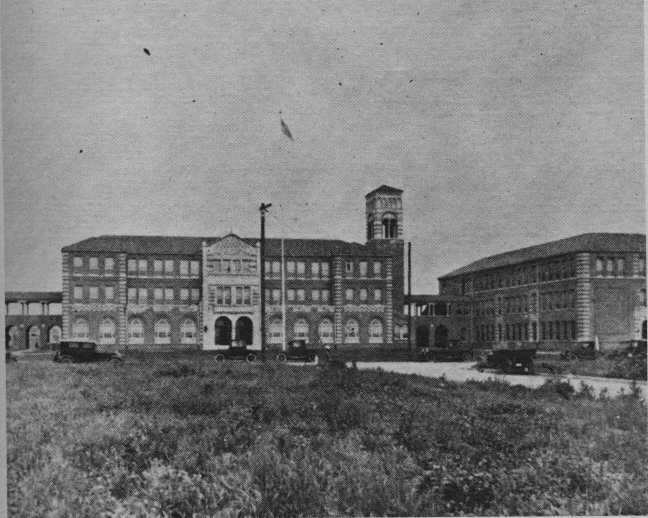 Unlandscaped first buildings, ca 1926. Left is old 300. Center is old 200. Right is old 100.